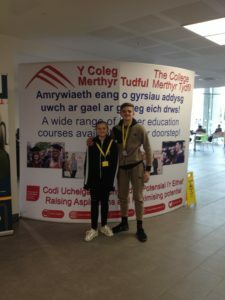 The Travelling Ahead South Wales Forum took place this year on February 13th at Merthyr College, supported by First Campus. 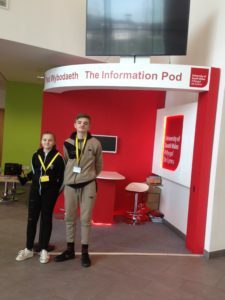 Members of the Welsh Government were invited to the forum to listen to the views and experiences of the young people from the traveller community. Attending from Welsh Government were Amanda Cartwright from the Equalities Division, and Jacqui Sharples and Kate Murry from the Education Directorate. During the visit to Merthyr College, the young people had a tour of the campus, including the Hair & Beauty salon, Construction and Engineering workshops. They also took part in screen-printing, boxing and filmmaking.